Welcome to my Great Leadership blog. I created this blog in order to reflect on and share what I've learned about leadership and leadership development. It's my first one, so it's also a way for me to learn more about blogging and social networking. 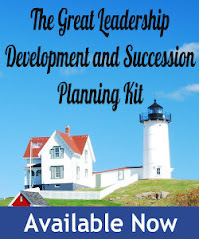 I've started by sharing some of my favorite leadership development resources - books, vendors, websites, and executive education schools, as well as a few of my favorite quotes. It's a work in progress, so I'll keep updating it and adding. The few guiding principles of leadership development that guide most of my thinking and "truths"
Leadership development challenges that I'm working on... unanswered questions, like what's the best way to measure the impact of leadership development (I've tried them all, and am not satisfied with any)? 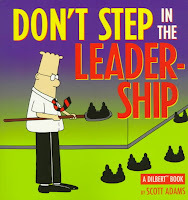 Or how to you predict leadership potential?